Weighing in at exactly 1.4 pounds, there's no doubt that the Sony VAIO P is currently the lightest 8-inch notebook computer on the planet. However, its Windows Vista operating system can be anything but light. Thankfully, the Sony VAIO P also comes with a super-fast Linux-based environment called Xross. Xross (pronounced "cross") reportedly loads in about 20 seconds and will allow users quick access to web browsing, email, music playback, IM, and VoIP client. With these capabilities, I don’t think there will ever be a need to boot into Vista. 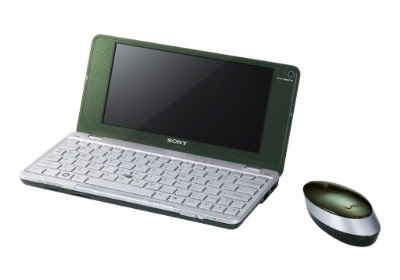 Sony has not published Xross’ source code yet since the VAIO P is still not available to consumers. Although, it could be identical to the InstantMode 1.22 Linux stack utilized in VGN-TX VAIO devices. 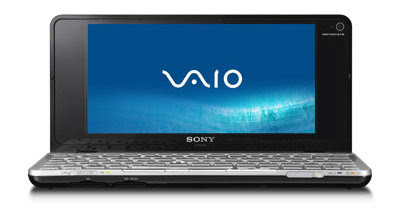 Freshly launched at this years CES (Consumer Electronics Show) in Las Vegas, the Sony VAIO P has 1.33GHz Atom processor, 2GB of DDR2 (non-expandable) RAM, 60GB HDD, 64GB SSD, or 128GB SSD of storage, and an 8-inch, 1,600-by-768-pixel display. Other features include a high-speed cellular (3G) modem, 802.11b/g/n WLAN, Bluetooth, and GPS. Will I have to pay for Vista even if I don't want it? There is really no need for it anyway. It seems you are forced to pay. No way to remove this evil thing at buy time. This is very very naugthy.